STEP 1: Click on “Edit Widget” button (the pen icon in the upper right corner of your widget) and click on Next. 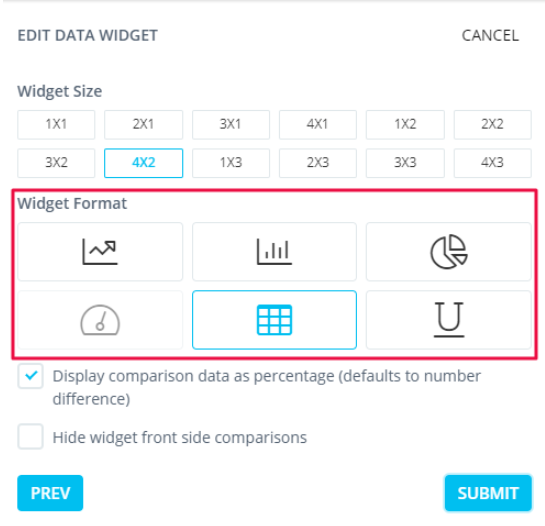 STEP 2: Now you can see the many chart style options for your widget. 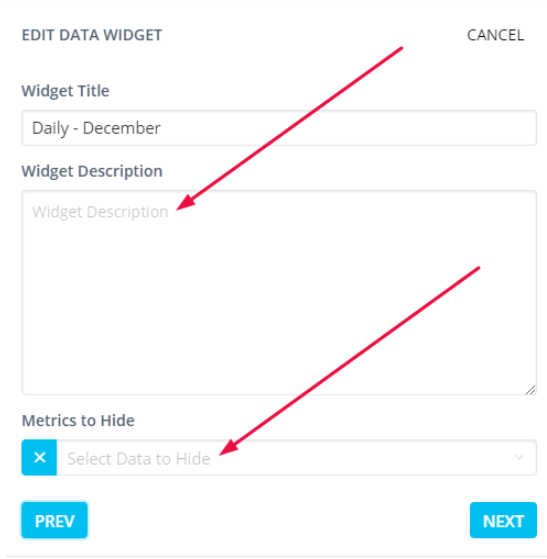 Here, you can also hide the metrics you don't want to show in your widget and add widget description. STEP 3: Simply pick the chart you desire and click on SUBMIT.